This remote storage site is very vulnerable & low risk to thieves. 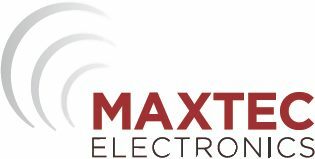 A lack of power is no problem for Maxtec, we can instantly alert the Farmer of trespassers regardless of distance. The cost of fuel is always increasing, as a result even red diesel & heating oil are equally valued by thieves. Let Maxtec protect this valuable resource. Open & unattended Farmyards can be difficult to protect, wireless radio equipment is perfect for this type of application. Instant communication to a mobile can identify areas in alarm & enable remote access to control such things as barriers, sounders, CCTV. Essential for the farms, but highly valuable - and away on the back of a trailer before you can blink! Let Maxtec help you secure your valuable plant. Chemicals are expensive and can be very dangerous when falling into the wrong hands! Are your chemicals protected against theft and misuse? It's not just the loss of metal that hurts but the damage caused when they steal it. Metal theft is costing our economy £770m a year, have you fallen victim to this? Some entrances into Farms can be some distance away from the main yard, we can protect these entrances giving you the early warning when someone is approaching! This hard working Farmer is unaware when trespassers enter his yard, Maxtec can provide you with the solution! Roll your mouse over the pictures to read more about what we can do to secure your land, property and assets.